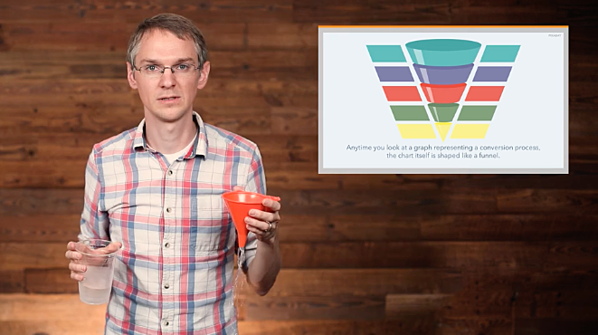 The inbound marketing funnel is DEAD. Quite the blog title, right? Now, it may seem sensationalist, but this was the biggest takeaway from HubSpot’s keynote at the Inbound 2018 conference, and something best described as the natural metamorphosis of the buyer journey. If you’ve been in marketing and sales long enough, you will have come across the purchase funnel and its many other idioms. The funnel has been around longer than you may think - it was first conceptualised by E. St. Elmo Lewis as the AIDA model, an acronym standing for the stages of the journey a customer embarks upon with a brand; Awareness, Interest, Desire and ultimately Action. That model existed for over 100 years, working as a framework to help businesses understand their own bespoke journey. It was fully embraced with the boom of inbound marketing, and of course it’s been reimagined and revamped numerous times, specifically in the way in which Google demonstrate the journey across the myriad of online channels and their position and role within the funnel. With the many touchpoints that now exist for an online purchase, in tandem with the noise and unpredictability of the user’s behaviour, the current model keeps expanding - but it has only ever existed on a linear premise. Online marketing is seen as the acquisition of new customers for whatever the business may be, and once a purchase is made and the user seemingly pushed down the funnel, that is where the exchange between customer and marketing ends. However, in a traditional inbound sense, there has also been another layer added to the purchase funnel. This layer is where inbound marketing would attract leads and push them down the funnel into the sales team before a purchase was complete. This is where HubSpot has traditionally seen the exchange and co-habitant relationship between marketing and sales teams. If I had one criticism of the evergreen model, it's that whilst it does provide a framework of how users purchase, it's basically businesses saying THIS is how our buyers purchase. The linear and rigid model is businesses stating how they believe users complete a purchase, rather than users having their own bespoke journeys. What’s more, it only paints the acquisition side of the picture, and not the repeat business and lifetime value of a customer to a brand. With such rigidity in the model, no real thought is given to the fact that not all journeys are the same. Some users stay in one stage longer than others, for example the Consideration stage. And sure, we can execute cohorts for grouped user behaviour, but doing so misses each individual journey and therefore potential users who will be brand advocates and loyalists. Individuals are just that, individuals – and they all embark on a personal and bespoke conversion path before purchasing – each has different noise within their journey and some take longer than other, with different channels preferred. There was a great takeaway mentioned during the Attribution and Conversion Funnel talks; there was an analysis performed on user behaviour within Analytics by an anonymous brand using HubSpot, and it was found there were 625 channel touchpoints on the funnel before a purchase was made. Six hundred and twenty-five. Which brand would assume their users would make this sort of journey through the funnel? Cut to the HubSpot keynote with Co-Founder Brian Halligan at Inbound 2018 – he brings a cloaked prop on stage, announces the buyers funnel obsolete, unmasks a large spinning disk and introduces the ‘Flywheel’. The Flywheel’s focus is to remove the rigidity and limitations of the old model because it’s an ongoing cycle. Within this Flywheel exist all the normal components you’d expect from the previous model, channels, functions existing harmoniously (Marketing, Sales) but focuses upon the most overlooked layer of the purchasing journey; the Delight stage. The main takeaway from each funnel to flywheel discussion was that within the flywheel there exists all the layers of the previous funnel, but think of them as ‘cyclones’. This alluding to the craziness and noise a user experience prior to purchasing with your business. Within each section exists the 3 main business components to the journey; marketing, sales and service – each again with their own cyclones within. We have to stop telling the customer how you want them to find you. They will decide their journey, so go big on budgets to reach at all points of the cyclones because it will pay dividends. Your job is to move each customer from each cyclone to the next with as little friction as possible – in doing so, you’re topping up your Delight stage users, who are your everyday ambassadorial marketing team. 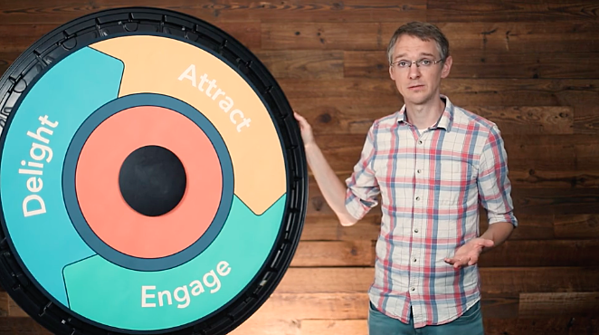 HubSpot coined the Delight term once a sale is complete, but what does it actually mean? Essentially, this is where the lifetime value and relationship between user and brand comes to the fore. Buyers who have experienced a really frictionless experience to purchase (which is the main aim of the Flywheel; eliminating friction) essentially are reincarnated in to your best marketing tool. As delighted advocates, their word of mouth is much more powerful on a one-to-one scale in building your brand and revenue. When it’s put simply like that, why have we been ignoring that within the funnel all this time? So let’s continue the conversation, whilst not one user’s journey is predictable, neither is a business’ own model – and we’d love to help you on the journey in connecting the dots and realising your growth.